Noosh Nosh is a restaurant located in Louisville, KY in the Brownsboro Road Center. The restaurant offers dishes from around the world for breakfast, lunch and dinner. Kelley Construction was selected to be the general contractor for this project that was completed in May 2016. Kelley Construction converted the 3,528 sq. 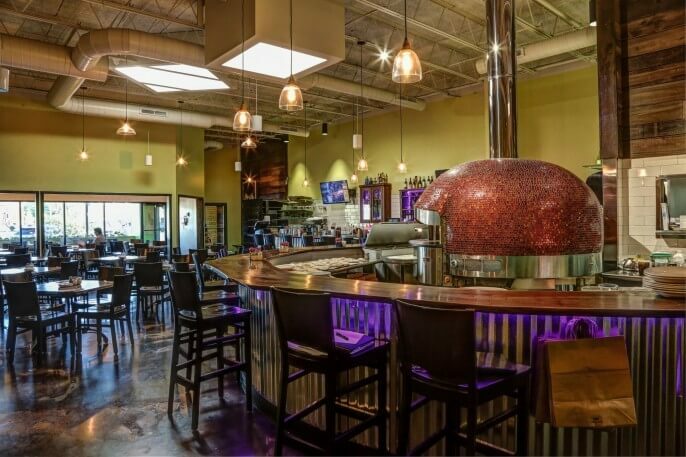 ft. existing space into Noosh Nosh which features a beautiful gas and wood stone oven, bright colors, and an open floor plan. 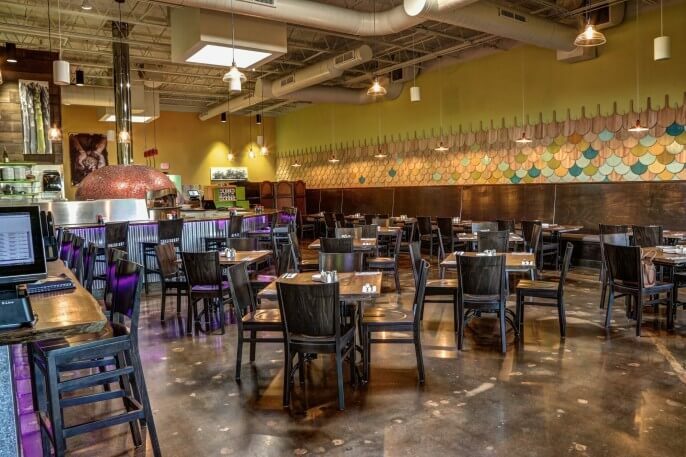 The walls are decorated with multi-colored wooden pizza paddles that add a compelling twist to the decor. 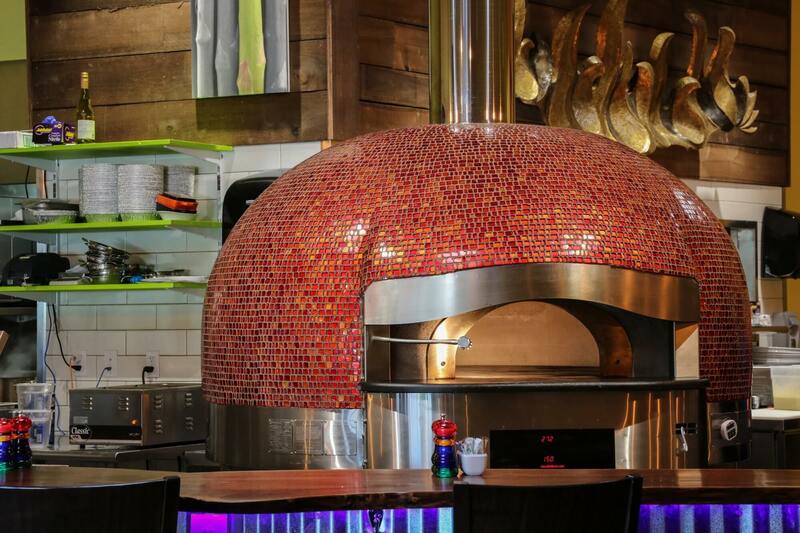 The walls are decorated with multi-colored wooden pizza paddles that add a compelling twist to the decor.